TKTG brings together the best articles from around the web for this Monday’s Premier League thriller where defending champions Manchester United will face title contenders Chelsea at Old Trafford. With the Rooney saga still not concluded and both managers having something to prove going into the match, we expect quite a contentious battle between these two sides. Be sure to check back after the game for all the post-match analyses. With the new Premier League season barely a week old, Planet Football is quivering with anticipation at the mouthwatering prospect of watching champions Manchester United go head-to-head with hotly tipped challengers Chelsea. It’s far too early to talk of title deciders, but the outcome of the bank holiday Monday showdown at Old Trafford will, from a psychological perspective, set the mood in both camps for the next few weeks. In the red corner, United come into the game off the back of an eye-catching opening-day 4-1 victory at Swansea. In the blue corner, Chelsea, by virtue of a some-might-say fortuitous midweek triumph over Aston Villa, arrive in Manchester riding the crest of a Jose Mourinho-powered wave. The Special One may only be three months into the job in his second stint as Blues manager, but he has wasted no time in settling comfortably into the Stamford Bridge hot seat and getting down to business in his own inimitable style. If the Premier League were a high-stakes poker game, Jose Mourinho would already be a sack-load of cash to the good. Forget for one minute the crafty cards being played for Wayne Rooney — the stealth-like, 11th-hour manner in which Mourinho whipped Brazilian playmaker Willian from under the noses of London archrivals Tottenham Hotspur was a startling reminder of what the Portuguese brings to the table. Special is as Special does, and that’s before considering the impact Mourinho has on his players. To go to Old Trafford and win takes belief as much as it takes ability. Just ask United’s new gaffer, David Moyes. In over a decade of trying, teams managed by Moyes never tasted victory at the Theatre of Dreams, and Blues supporters will be hoping this remains the case when match referee Martin Atkinson blows the final whistle on Monday evening. When Manchester United host Chelsea in this week’s blockbuster game, there are so many parallel subplots, machinations and scores to settle, it is hard to believe there are just three points on offer for the winner. Yet with the season not yet two weeks old, how much dare we read into the result of a single game? In the 1980s, before the Premier League marketing juggernaut was conceived, most newspapers did not calculate the league table until the season was a month in. With so few matches played, the evidence was deemed too scant to bother. However, with both of these powerhouse clubs in transition — new managers in David Moyes and Jose Mourinho, both eager to enforce their will, and the two sides caught in a tug of war over the services of a rejuvenated Wayne Rooney — this early-season battle, though premature, bears a symbolic power that could still be felt after the final score is long forgotten. Mourinho’s return is currently the most complex and eagerly awaited reunion in sports. The 50-year-old Portuguese manager has set out to repair his own reputation by restoring Chelsea’s impregnability. This second coming began amid rhapsodic scenes of welcome from the Stamford Bridge faithful as Chelsea brushed aside a fearful Hull. Yet Mourinho’s squad was threatened by Aston Villa’s self-confidence midweek, struggling to conjure balance between attack and midfield. Only a series of compliant referee decisions prevented them from dropping points. As emotional as Mourinho’s ecstatic return appeared, it was also proof of football fans’ cognitive dissonance. The Portuguese was widely believed to have coveted the opportunity to replace Sir Alex Ferguson only for the United hierarchy to feel the heat of the scorched-earth policy he employed at Real Madrid. David Moyes, the man who will fill the home technical area on Monday, was preferred as the safe, conservative hire. Although Mourinho has since protested too much by claiming he never wanted the Old Trafford job in the first place, the truth remains he was also Roman Abramovich’s second choice for Chelsea behind Bayern Munich-bound Pep Guardiola. So on the tenth day of this new Premier League season comes the first big summit meeting – the first coming together of two of last season’s top four. And of course the firsts also keep coming for Manchester United’s new manager David Moyes – this is his bow with his new club at Old Trafford in the league. And as he himself pointed out, he was not done any favours when the fixture computer served up Jose Mourinho’s new Chelsea as his team’s opponents. Mourinho has been down a similar path. Nine years ago to the month, in his first coming as the Chelsea manager, his first competitive match in charge was against Manchester United at Stamford Bridge. 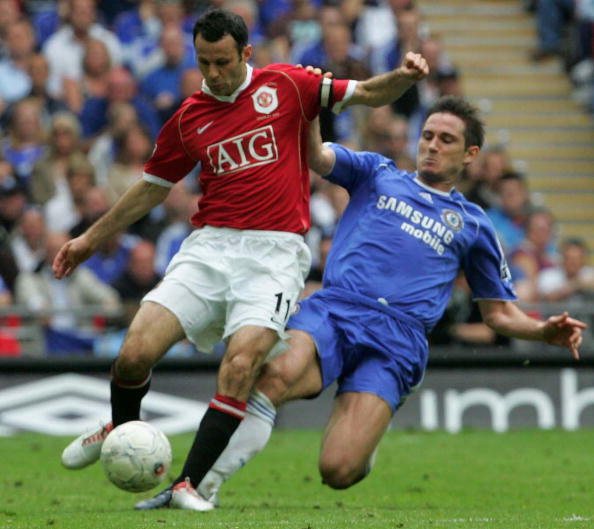 Chelsea won on that day with a first-half goal from Eidur Gudjohnsen against a United team which included Eric Djemba-Djemba, Quinton Fortune and Liam Miller in the starting line up. Nine months later, Chelsea were champions of England for the first time for fifty years. Wayne Rooney will doubtless be a central figure regardless of whether he starts the match, is a substitute or is nowhere to be seen. Rumour has it that Chelsea will make a third offer for Rooney after this game is out of the way. The fact is that David Moyes has steadfastly maintained the position that Rooney will not be sold. And who will be Mourinho’s choice for Chelsea up front? Fernando Torres sat out their league game against Aston Villa last Wednesday, but he’s not started either of their two matches against Manchester United at Old Trafford since perpetrating the most glaring of misses in front of the Stretford End when Andre Villas Boas’ Chelsea were beaten 3-1 almost two years ago. Jose Mourinho says that he will miss his relationship with Sir Alex Ferguson and “having a laugh” with the former Manchester United boss on his first trip back to Old Trafford on Monday, while heavily praising David Moyes as a “success” as a manager. Chelsea manager Mourinho also insisted that the new United boss should not be compared with Ferguson, and that he has everything in place to succeed – but that Monday’s game will not go too far in deciding the title. “I think for me the difference is the routine of meet a friend, being together before the match, have the guarantee that after the match, independent of the result, we are together again enjoying our time and having a laugh,” Mourinho said of Old Trafford without Ferguson.